This popular all-round tyre is the best in its category with it finely tuned balance of all the critical elements that make a great tyre. Designed for intensive training it is equally suitable for racing. 3 compounds for the best speed, grip and suppleness. Extra anti-puncture protection and suppleness thanks to a thicker tread. Second tire I have purchased. Usually go with Conti Gatorskins or 4000s. I use this as a front tire on two road bikes that I have that can only handle 25's in the rear. No issues, works fine. Perfect balance and puncture protection on mostly flat tarmac and broken surface, gravel road. Good grip in autumnal weather, just don't roll quite as well as 4 Seasons. Tires that I highly appreciate, perfect, their stamina absolutely great about 6000Km. Cheap, roll very well, great grip and wear and great service from Merlin too ! Like these tires very much....good mileage, good flat protection, good handling and grip. Trying these for the first time, Used the Pro 3 series for years, get around 5000 miles per set. Expect the same or better from these. Happy to buy from Merlin, great service. Second set of these - they wear well (3000 Km on first set), roll nicely and have been puncture proof. They also keep their shape better as they wear than some other tyres that I have used. I have changed to these from the Rubino Pro Slicks, I had used for several years. I have had very good luck with these, and they do seem to live up to claim of grip and rolling resistance. I can say they give better wear so the increase in cost is not a problem. Very satisfied. At the price point you just can't beat these tyres. I've just put them on my wife's bike and she can tell the improvement in speed and I will testify to their longevity - done 2000 miles on a set with no punctures and little sign of wear. G + has become easier to ride than the previous tire, it is very good. But, I felt the width was thicker than the display size. My first folding tyres which I found easy to fix. My first week of rides has seen an improvement in my average times which I believe is down to this purchase. A really nice folding tyre, if you want to go one step more robust than race tyres and fit and forget then this is a good choice. The suppleness is still reasonable and at 25mm provides a comfortable ride without soaking up too much energy. Good pricing and prompt delivery from Merlin - in fact a 'Magic' experience! My go to tyres, these give a great balance of speed, grip and puncture protection. All my bikes now sit on various versions of the Rubino range and I wouldn't trust anything else. Much better than previous version (Rubino pro III). Supple, more enjoyable ride with absolutely superb grip. It remains to be seen how well they will hold up but so far nicks and cuts apparent in other tyres even from the first rides are not present. Previous tyres were the GP4000SII and while on one point they seem to perform better (rolling resistance) its negligible, almost marginal. I will definitely buy again. One more time: the cornering is far better compared to the GPs. I have been pleased with these tyres, I have both the 28mm on my winter bike and have just changed to the 25mm for my summer bike. They have made a massive improvement in handling. Can't comment on how they wear still early days. Upgrading from the Vittoria Rubino. Very satisfied. Roll well, comfortable (25 & 28)and superior traction. No punctures yet so nothing to doubt claims. The 28s are quite narrow so don't bulge over traditional rims. Great tyre for the price and quality. Have used these since they came out and enjoy the security of the grip and no punctures just glass cuts (which no tyre can prevent!) which meant changing the tyre as the cuts went through the base layer. Love the way they corner! I am a big fan of the Rubino Pro line. These are replacement tires for when the tires on my bike need replacing, so I haven't tried them yet. Difference this time is going to 25s from 23s in the hope of a softer ride. Service and delivery from Merlin was first rate. Great tire, used them all last season so picked up a fresh pair for the spring. Fast shipping, no duty delivery to Canada. My go to tyre from the old Rubino Pro slick. Good price, good control, good mileage. Perfect for winter cycling or wet conditions it is an all round brilliant tyre with plenty of grip and you can be confident around any corner. It gives you maximum stopping power too so you can brake with more confidence. I highly recommend this product to anyone who like myself lives in England haha or just wants a good training tyre for winter. Fitted these on a set Of Zonda's went on nice and easy no need for tyre levers inflated to around 100 psi nice thing they not to bulbous (don't protrude out much from the side of the rim). Not really ridden much distance but I expect as with all Vittoria Rubino tyres I've ridden in the past good grip ,good puncture protection and long lasting tyre which great value for most weekend warriors and training . The last time I used a tyre different to Vittoria Rubino was probably in 2004. Since then it has been exclusively the Rubino folding due to its light weight, reasonably low rolling resistance, high puncture resistance and, above all, very long life. The new incarnation with Graphene added the carcass certainly seems to live up to that expectation. Typical Vittoria Rubino quality ie excellent. Had these before in 23mm and these 28mm have a similar look and feel as you might expect. They are nice and light, but fill the large clearances on my winter bike very nicely. I'm running them at around 80psi and the ride is comfortable and grip is good. Only done <100 miles so far so too early to comment on puncture protection. I had been using the Vittoria Rubino Pro Slicks, for the past 6 years, but tried thes earlier in the year, and do like the holding power in turns. The last ProG+ gave me 3,000 miles till casing showed through, and this is 1,000 more than I got with the Pro Slicks. These are great tires. Bought these in 28mm width for my winter/audax bike. I've done 500 dry km on them. No cuts or punctures. They handle well and are a much smoother ride than 23's or even 25's. I find 75-80 psi is about the best pressure adding comfort without feeling soft. Good feel through the bars. Quite light for a 28mm tyre. Good value tyre that gives confidence in the wet. In 28mm it has improved the comfort of my alloy bike. 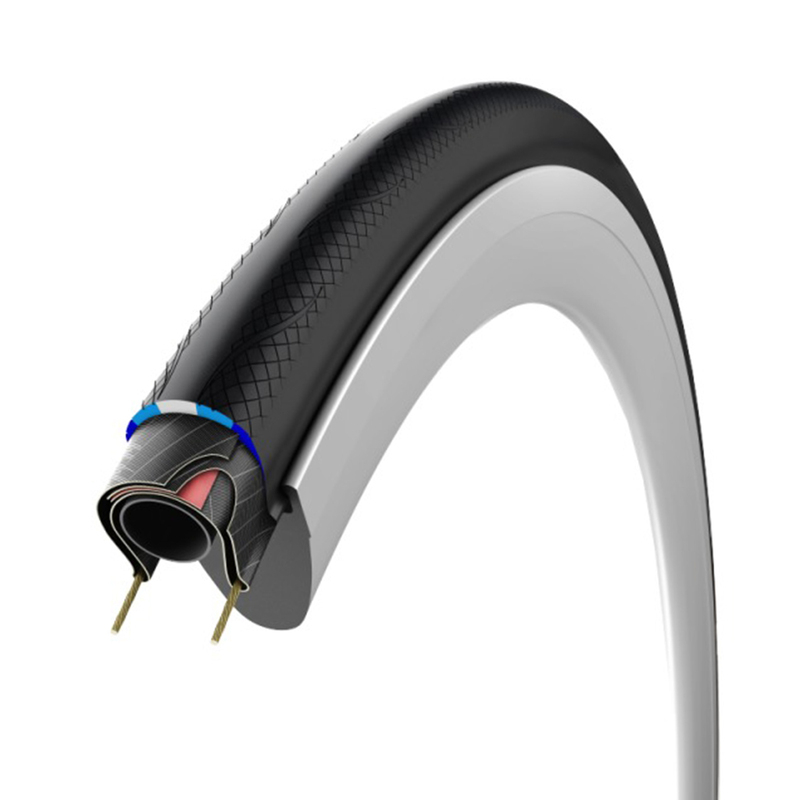 If you want a fast, light and durable tyre then this is the one for you. I bought the 28mm version and weigh 272g each, the rolling resistance is good and feels silky smooth on the road. In the wet they still handle well. I use these as part of a commute along a several mile stretch of gravel towpaths, and hundreds of miles later I have yet to get a puncture. I'm very happy with this purchase. faultlessly. Fast, grippy and a step up from the rubino pro 3. Tbh they are so good why buy anything else? These seem to be good so far, no punctures and the wear factor seems to be good. I used to run my 23mm tyres at 100psi but with these I find somewhere between 80-90psi is much more comfortable. The size of these tyres are great for poor roads and they were easy to mount on my Mavic rims. Great tire! No flats so far! Rolls pretty nice too! Beautiful ride! gives me more confidence especially fast downhill, cornering! I have 3 road bikes and ride 20,000+ Km a year. Two bikes I run Vittoria Rubino Pro the other one Continental Grand Prix 4000s 2. For the price the Vittoria Rubino Pro are one of the best tires out there. The last set I ran 8,000 Km with only one flat. These tires do everything well. I just installed the new G+ Isotech 25 mm last week so time will tell how they do against the Rubino Pro tires. These tires truly deliver on what they claim to be able to do. They are fast in the straights and grip just right when you need them to. I'm not sure if it is the "graphene" but I will definitely buy these again. Exactly as per Merlin's description. Good all-rounder and can be used for commuting to racing. Grip is good. The tyres are easy to fit and look fantastic on the wheel. The weight of the tyre is great for what is aimed at year round commuter friendly tyres. It is early days but they ride very nicely and seem to have great grip. Time will tell if they are better than my usual Conti 4 seasons tyres.